Megaggio sits on the shores of lake como, nestling at the foot of Val Menaggio, the valley connecting Megaggio to Porlezza. The town is famous for its elegant buildings, especially those along the beautiful lake promenade. 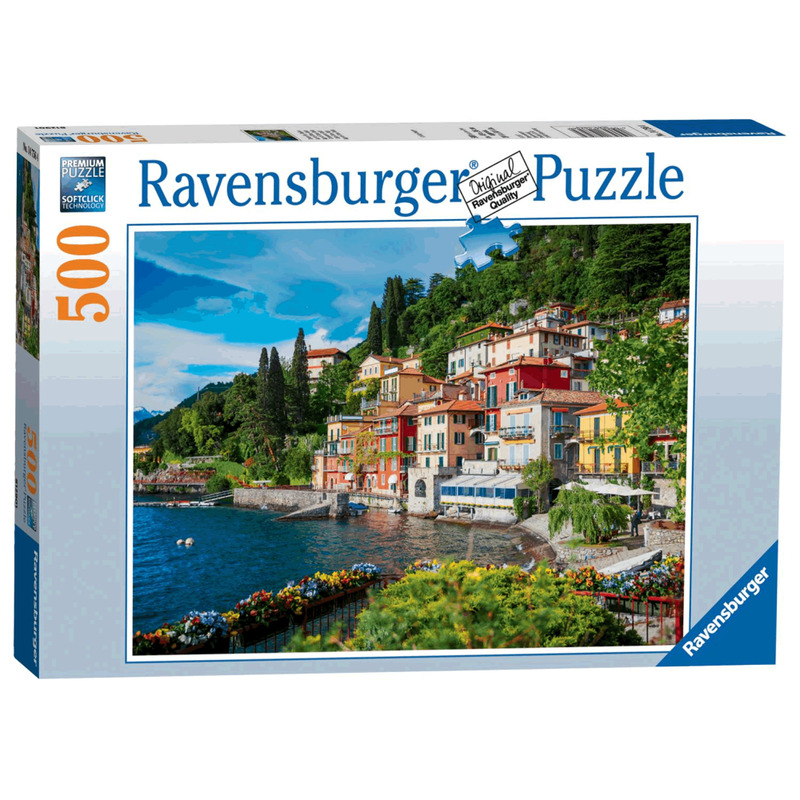 There's plenty of colour and detail for puzzle fans to enjoy here - the picturesque, colourful buildings, pretty flowers and rich green trees and the deep blue of the lake and the sky. This puzzle would be a great reminder of a past trip, and may even inspire new adventures! high quality 500 piece cardboard jigsaw puzzle. The finished puzzle measures 49 x 36 cm when complete. Suitable for ages 10 years and up. Made from strong premium grade cardboard, with linen finish print to minimise glare on puzzle image.